There’s been a lot of discussion about the US Supreme Court’s ruling in Alice Corp v. CLS Bank which apparently put into place limitations on software patents. IAM Magazine reported some research back in Spetmebr 2014 that indicate that a number of companies would lose valuable patent portfolios and some applicants (see Infosys here) appear to be re-thinking their patenting strategies. However, six months on, it is interesting to look and understand how the case will actually affect software patents and their value. 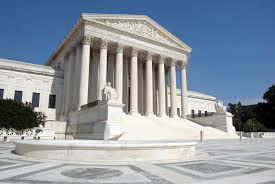 Dennis Crouch over on the PatentlyO blog has done a valuable service by looking at the fate of a number of applications that had actually been allowed by the USPTO, but were later withdrawn based on the Supreme Court’s decision. These were patents that had been found to ne novel and not obvious, but were then rejected on the basis that they were directed to an abstract idea, and thus ineligigble for patent protection. Dennis has found that 93% of the patents are still pending. Most are on a so-called second round final which presumably means that the applicants have had the opportunitiy to express their views and are awaiting a final decision from the USPTO. Most interestingly 7% of the patents have actually been granted and only 1% rejected. It’s clearly too early to say how many of the 93% will actually be granted in the end. However, the ratio of grants to rejections is looking fairly healthy. And seems to suggest that the fear that many patents would be held invalid and lose their value may not be entirely justified.